'One day I found out that my little native town used to be called not Znamensk but Wehlau. Germans had lived here. This had been East Prussia. Then they were deported. A ten-twenty-thirty-year layer of Russian life trembled on a seven-hundred-year foundation about which I knew nothing. So the child began to invent'. The resettling of the Kaliningrad Region (former East Prussia) with Soviet citizens occurred a few years before Yuri Buida's birth in 1954. 'Not a single person was left who could say of East Prussian space and time: "That's me"'. Buida's motley characters - war wounded, bereaved wives, madmen, fearless adolescents and a resurrected minister of state - inhabit a dislocated reality, a dream-like world of double identities and miraculous occurrences. Buida's skill at merging playful fantasy with bitter experience gives to his writing a haunting vividness and intensity. 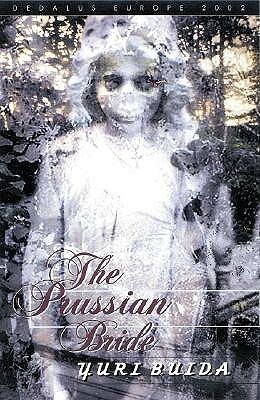 The Prussian Bride is a treasure house of myth and narrative exuberance, with stories that swing between outrageous invention and often tragic reality. It is one of the most exciting discoveries of post-Soviet literature and a worthy winner of a prestigious Apollon Grigoriev award in Russia: it was also shortlisted for the Russian Booker Prize. The Kaliningrad region is in an odd geographical and historical situation. Since the collapse of the Soviet Union it has been cut off from the rest of Russia, sandwiched between Poland and Lithuania. The region itself is only recently Russian -it was once East Prussia and its Russian inhabitants replaced the indigenous German population after the Second World War. Yuri Buida's magnificent collection of stories about his home town reflects these anomalies and presents a powerful and hilarious meditation on dislocated identities. The name Buida, as he tells us, means liar in Polish, and this appropriately reflects the imaginative invention that gives meaning to the lives of a populace who lack a clear place in history. Everything here is transformed, but only to give a greater force to the depiction of human suffering and joys. The whole effect is of a people's imagination confined by historical and geographical forces bursting forth in Rabelaisian splendour, without losing the stoicism that enabled them to endure the hardships of Communism. The stories show an ironic awareness of the power and dangers of self-deception, while seeing it as the only way of living a coherent life. 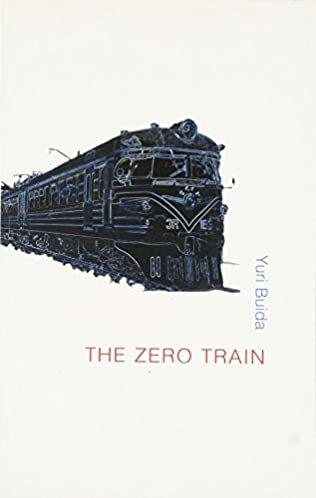 Buida's earlier novel, Zero Train (2001), was also powerful, but the theme of history's power to fragment ordinary lives works better in short-story format than in a continuous narrative. As we read through the stories in The Prussian Bride, we get a Brueghel-like picture of a community held together by ragged threads. The families in these stories are disjointed,cobbled together from casually adopted orphans and catatonic or otherwise absent wives and husbands. As in Zero Train, there is a sustained engagement with the absurd fantasies of self-empowerment that men construct to cope with their political impotence, but there is also more obvious engagement here with a range of women's characters, some suffering silently, others taking control of life and their appetites. The form of the stories is wonderfully varied, and the different registers are brilliantly captured by the translator, Oliver Ready. Perhaps the most effective are the longer ones such as 'Rita Schmidt Whoever', which is about a German girl left behind after the deportation, only to be bullied by her grotesque adoptive mother; she is a girl who, in the midst of her sufferings, is able, like Christ in Gethsemane, to sum up her life- something the narrator believes we all strive for. This is not a matter of truth: 'No court can thrash that out of a person. Anyway, the facts die,only the legend lasts. The lie, if you like. Now there's something you can't argue with.' The story goes on to demonstrate this to great effect, turning into a faked reflection on the detective story's search for truth.Yet here, as in some of the more lyrical miniature stories, it is the casual references to the town's life, often fuelled by a delighted cloacal fascination, that gives the collection its particular character. Yuri Buida, The Zero Train, Dedalus, 2007. "You know about this place, this train. One train every twenty-four hours. All this for one single train: track, sleepers, stations like ours, storehouses, warehouses, repair shops, bridges, logging, creosote treatment, water, coal. And people, like you and me. All for the sake of one single train. One hundred wagons, four locomotives. No delays, no breaking of rules. All done to a T. Right ?" Misha moved his glasses up his sweaty nose once more. "Where's it going ? No one knows. What's it carrying ? No one knows. Do you ?" "The Motherland trusts you," the colonel repeated, in a voice less steely than before. "I also have complete faith in you. Remember this, remember once and for all: you can be counted on. Those who didn't go through what you did can also be counted on, but you doubly so. Because you have no past. Who needs one ? You hvae no present, either. You exist in the future. You are the Zero. Remember this. I won't tell you these things again.". To a great extent he buys into this. For most of the others, the Zero is an unmitigated disaster, a bearer of death and misery, but Ivan can see purpose in it, even as it remains a complete enigma. "Dreams and fantasy, that's here ! All around us, Vanya, it's nonsense, absurdity, nothing. What meaning is there in all this ? None at all !" Where is everyone ? Why are there cracks in the walls ? From the rattling of the Zero. Or the rattling of his heart, a heart that had gathered a lifetime's bitterness, flammable and explosive. In its description of the miserable lives at Nine and especially Ivan's struggle for understanding (himself and the world ...) The Zero Train measures up well against may of the Soviet-era (and generally samizdat) novels that similarly take on the all-powerful state in allegorical form. Perhaps those that have not read many of these novels will be particularly impressed, but with familiarity with what has become a genre also comes some fatigue, and The Zero Train doesn't stand out that far from among the huge pile of earlier books. Too much simply feels like we've seen it al before.